iOS 10 is one of the beauty of Apple which has introduced many new features in iPhone and iPads. 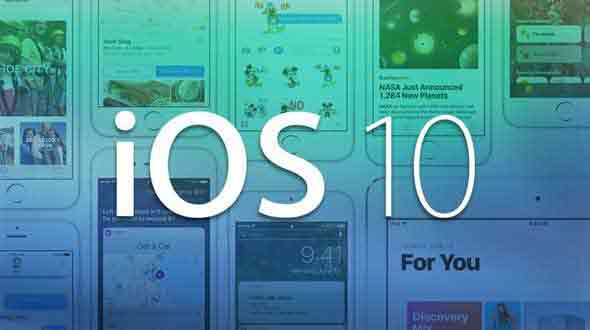 When we are ready to welcome the all new iOS 11 with all new features and upgrade we are sharing 8 hidden features of iOS 10 make your life simple. It might happen you must be aware about many or some of these tips but believe me many are unknown to many people. Live wallpapers are special wallpapers that can animate for a brief amount of time when interacted with. Live photos have the same functionality, and can be set as live wallpapers, thereby adding a new level of personality to your device. After setting your live wallpaper, simply press down on it while on the lock screen to activate the feature. If you set a live photo, you’ll be able to briefly relive the moment you captured it. Apple changed the way you unlock your iPhone via the lock screen with the release of iOS 10. You can no longer swipe to unlock it, which will surely take long-time iPhone users a while to get used to. There is another way to unlock the screen, however, and it involves Touch ID. Provided you’ve already set the feature up — which you can do by going to Settings > Touch ID & Passcode and toggling iPhone Unlock to on — go to Settings > General > Accessibility > Home Button and toggle Rest Finger to Open to on. Now, you can unlock you iPhone by placing your finger on the Home button.